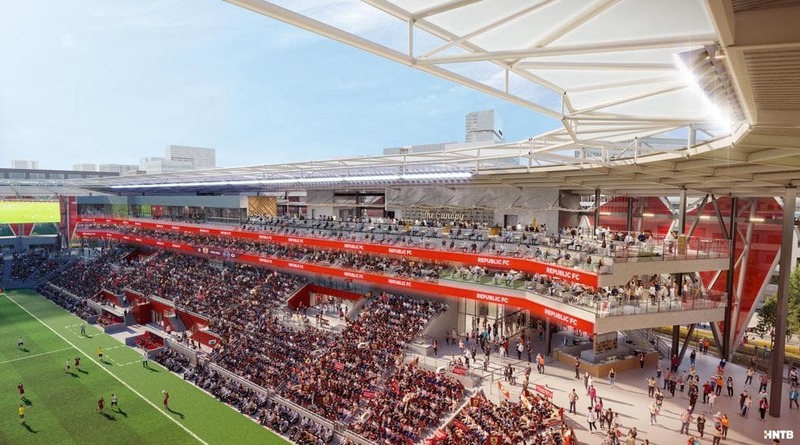 Sacramento Republic has released revised plans for a new stadium that it hopes will secure the club Major League Soccer (MLS) status. The Republic currently competes in the United Soccer League (USL), but has been long seeking an MLS expansion franchise. 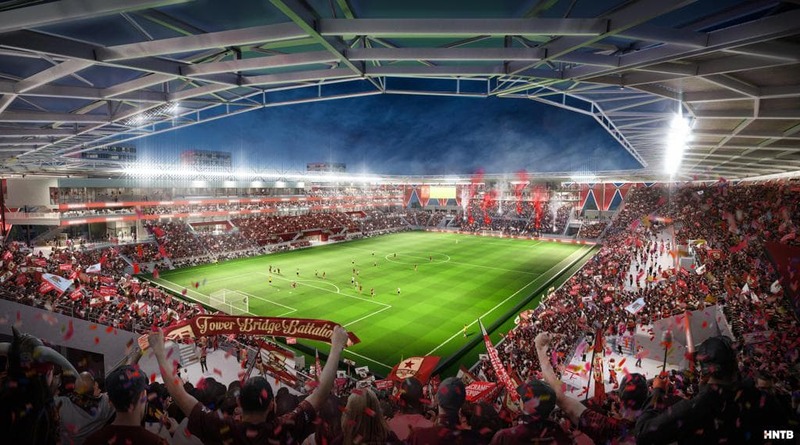 The renderings released yesterday (Tuesday) stem from work led by the club’s new lead investor Ron Burkle and his business partner, Matt Alvarez. Billionaire investor and philanthropist Burkle bought a controlling interest in the team in January, with his group agreeing a deal to buy the stadium site and surrounding 14 acres in an effort to develop an entertainment district for the downtown railyards area of the city. The additional updates to the stadium design expand on the shovel-ready proposal developed and enabled under current Republic owner Kevin Nagle, who has led the organisation since 2017. Among the enhancements are the addition of a 360-degree concourse pedestrian walkway, new canopy-level seating on the west side of the stadium and expanded field-level seating options. If awarded an expansion slot by MLS, Republic has said it could begin construction on the stadium immediately with an estimated completion date in 2021. 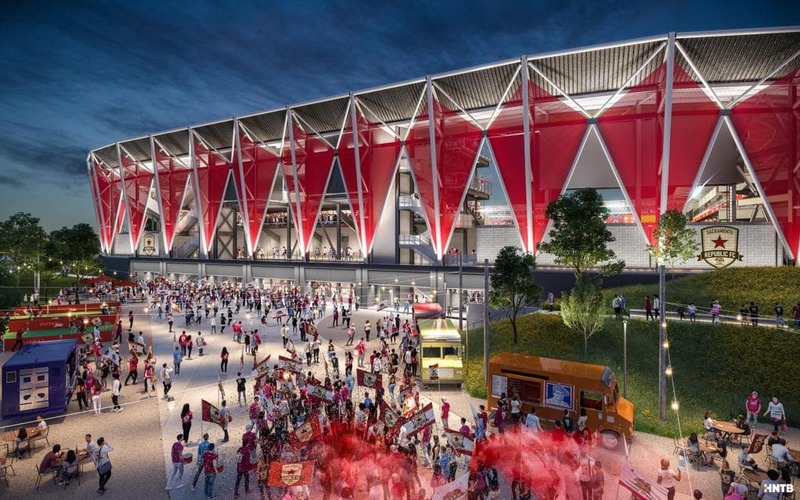 “The new renderings demonstrate our continued forward progress on our MLS bid and how much work is taking place behind the scenes,” said Republic president and chief operating officer Ben Gumpert. In other news, MLS expansion franchise Club Internacional de Fútbol Miami (Inter Miami) has taken another step towards securing the stadium for its debut. The Fort Lauderdale City Commission yesterday unanimously voted to enter into an interim agreement with David Beckham’s ownership group which will permit the demolition of Lockhart Stadium in order for a new venue to be developed. The City of Fort Lauderdale last month approved the proposal from Inter Miami to utilise Lockhart Stadium as its temporary home, rejecting a rival bid. In January, Inter Miami presented a proposal to the City for the design, construction and maintenance of a training facility and multi-purpose 18,000-seat stadium on the site of Lockhart Stadium, but at that stage had not committed to the facility as its home venue. However, the club’s ownership group leaders, Beckham and Jorge Mas, last month put forward a proposal for Inter to play at Lockhart Stadium for the 2020 and 2021 MLS seasons, until its planned Freedom Park stadium opens in Miami. The Associated Press news agency reported that yesterday’s vote saw Mayor Dean Trantalis suggest that the agreement should include financial assurances that Inter will not simply demolish the existing stadium without replacing it with another venue. Other commissioners argued that due to the tight timeline involved, the project should be allowed to commence as soon as possible.